I’m unbelievably excited about new music from Shania! She is one of my idols and her music is music I grew up with so has a huge amount of nostalgia attached to it. 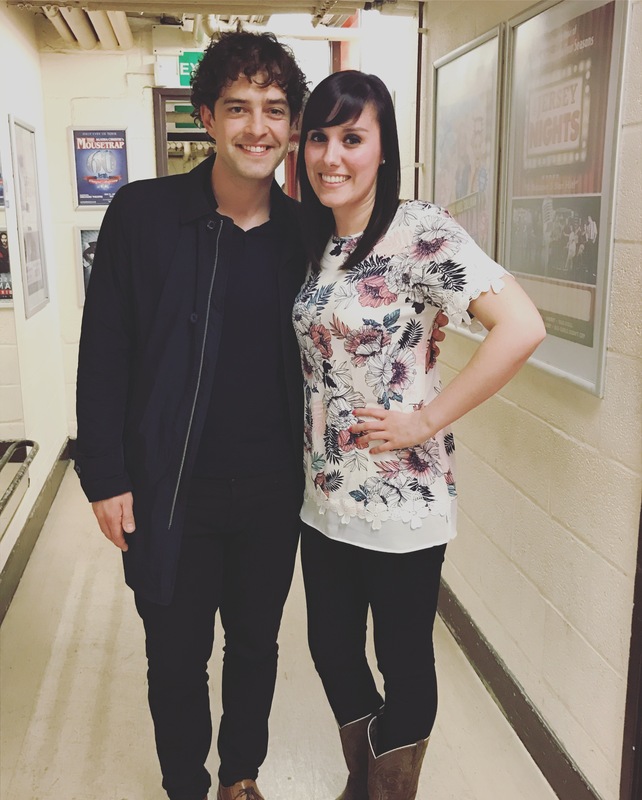 I’ve just heard her latest song and wanted to share it as this week’s ‘Music Monday’ post. 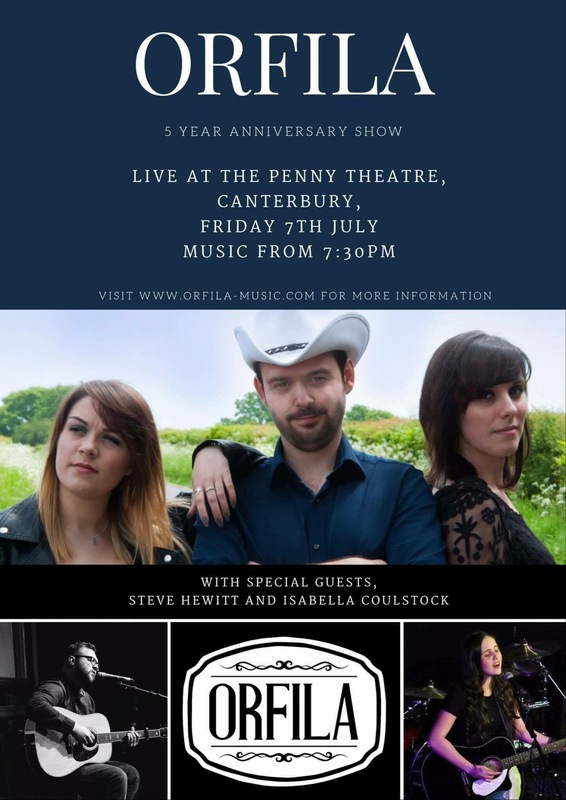 We are so excited to announce that we will be playing a special show to celebrate our 5 YEAR ANNIVERSARY at the Penny Theatre in Canterbury on Friday 7th July! We will be joined by our friends Steve Hewitt and Isabella Coulstock. The gig will be FREE ENTRY and the show starts at 7.30pm! See ya’ll there! We cannot believe it!!!!! Thank you SO much to everybody who voted. 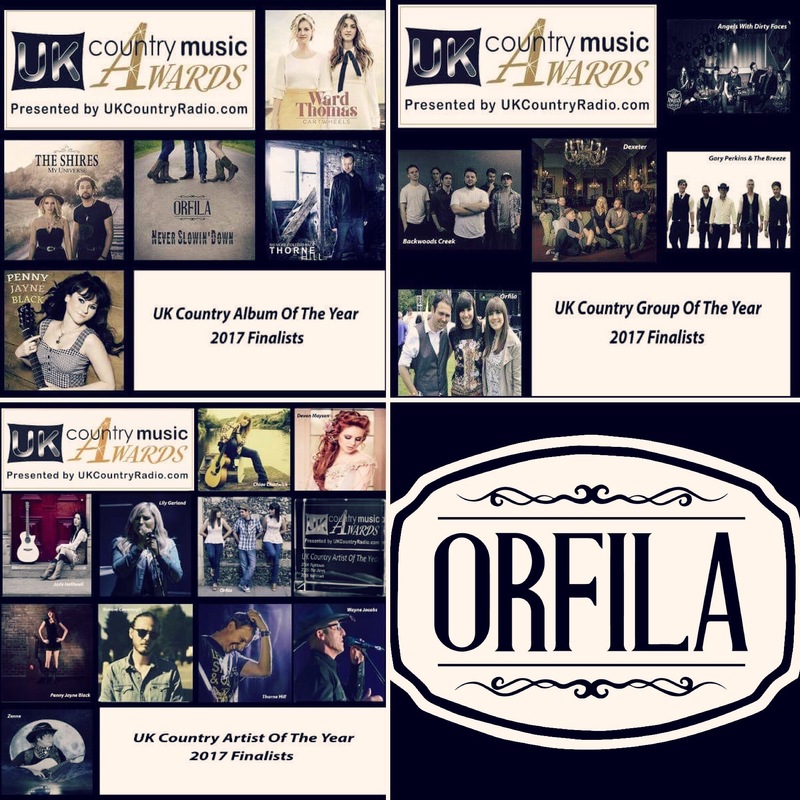 We are so grateful to be nominated. 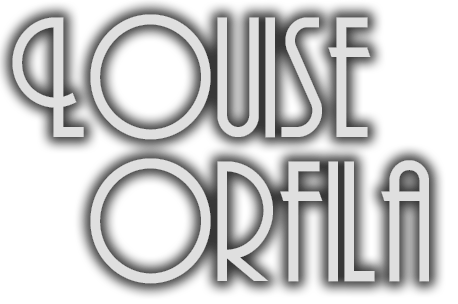 I cannot wait to return to the wonderful music venue, The Grey Lady, next week with the Orfs! Tuesday 30th May from 7pm. Support from Isabella Cousltock and Pete Falloon. If you’re free and near Tunbridge Wells, we’d love to see you there! 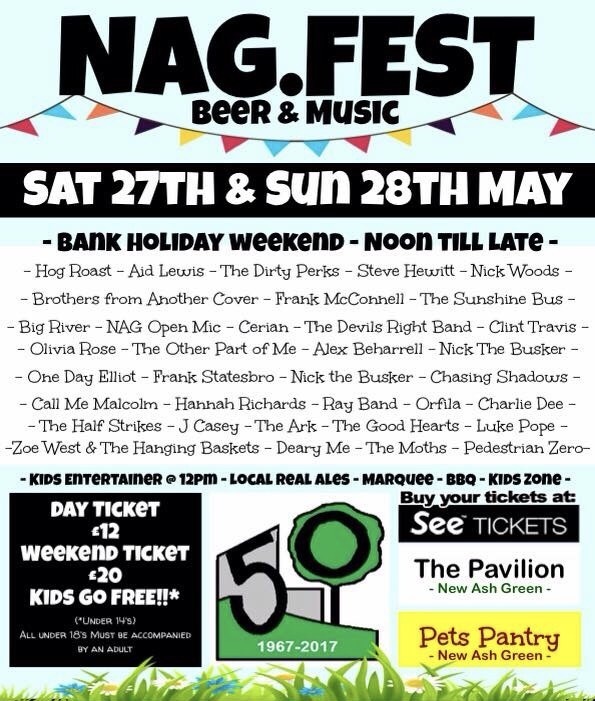 Can’t wait to play at NAGFEST in New Ash Green on Saturday!! 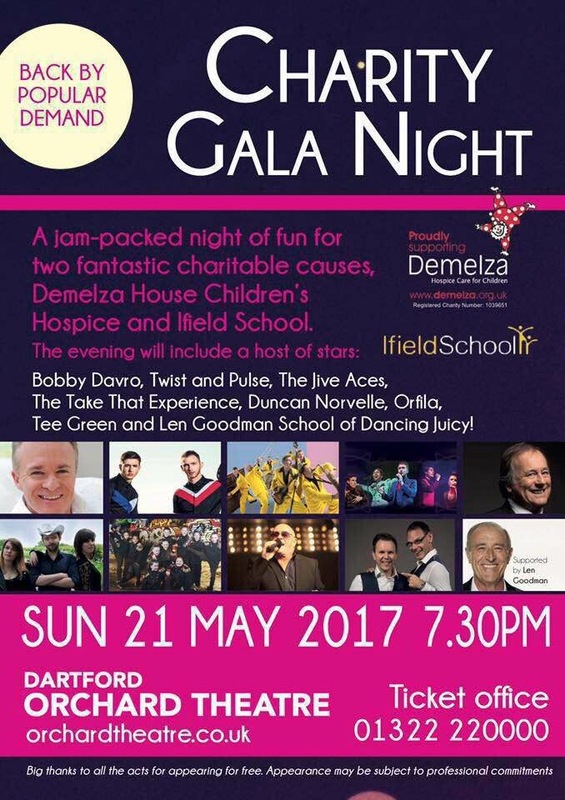 ORFILA: We had a fantastic time at the Charity Gala event at a packed out Orchard Theatre in Dartford on Sunday night! It’s not every day your performance is interrupted by Jim Davidson and Bobby Davro! Thank you so much to Paul and Gary for inviting us to be involved in such a wonderful event. 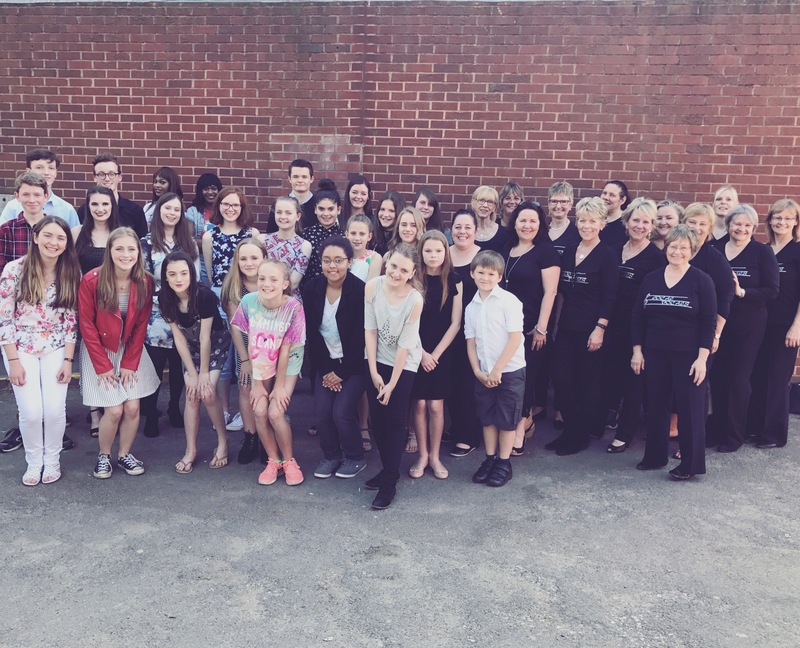 It was an honour to take part and help raise money for Demelza House Children’s Hospice and Ifield School. Ok ok, I’ll admit it… I still haven’t seen this film… I know!!!! As a musical theatre geek I am ashamed of myself! I will find time to watch it soon! 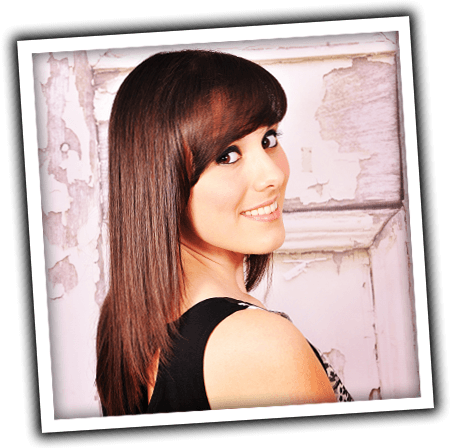 However, I have heard many of the songs through my vocal students wanting to work on them, and so far so good! I recently heard this cover of ‘The Audition’ by Carrie Hope Fletcher and simply had to share it. Her vocal delivery and overall performance of this song is beautiful. In my opinion, Carrie’s voice is truly magical. Have an awesome week – make it count! !